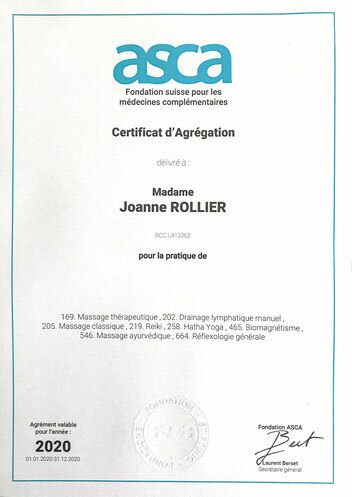 Joanne Rollier is aggregated ASCA - Swiss foundation for alternative medicine. Here is the list of insurers in partnership with ASCA. Some insurers publish on their website the list of therapies that they cover. For the other partners listed, contact directly your health insurance in alternative medicine.